The boys wake up early in the morning. Chaos first, always around 5.45, 6am or after if we are lucky. Then Mayhem around 7am. They bounce out of bed ready to greet the day head on. This is an early morning photograph of them exploring. 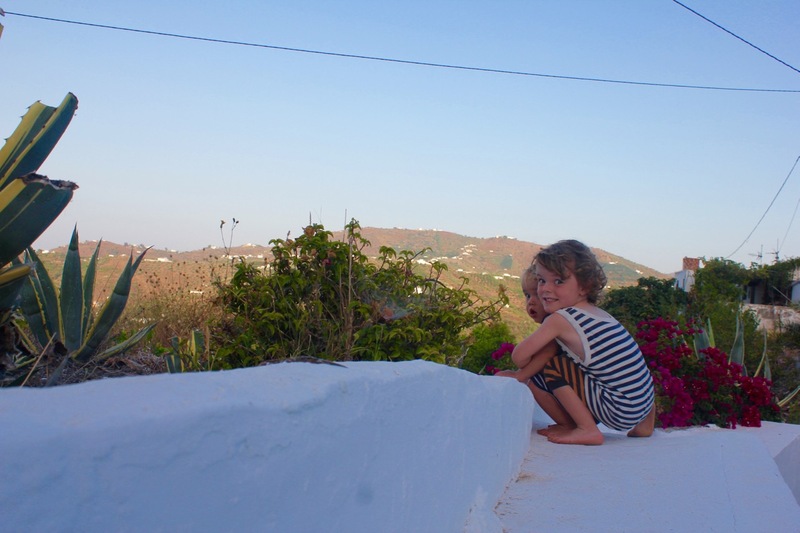 There is a small wall in the front garden, overlooking the campo and the sea, a great place for a cuddle! Thank you Victoria they are two very cheeky boys always up to mischief! Thank you. We are definitely spoilt here with the view!